There is something that I really like to cook but rarely take pictures of. Usually I have no time to take nice pictures of it, because I really want it to be served right away. And, truth to be told, you just need the perfect plating and light to shoot this - and this is something quite not attainable when you are just in a hurry to put it on the table. Because today was a lazy holiday day, sleeping in, doing nothing, and eating a bowl of this in a sunny balcony suited it just perfectly. 7) Servir imediatamente, finalizando no prato com um pouco de queijo ralado e folhas de manjericão. 7) Serve immediately, topping with a little extra cheese and the basil leaves. 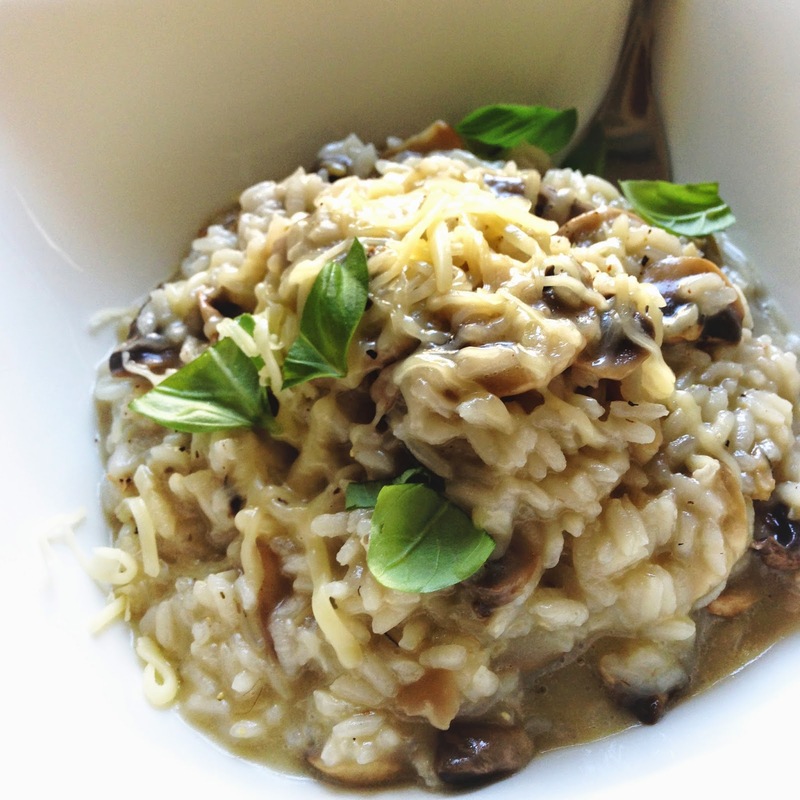 Adoro risotto, por vezes não consigo passar uma semana sem fazer um!